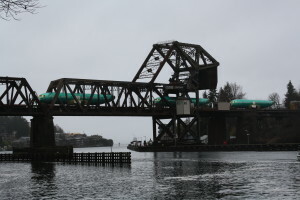 Valentine’s Day morning languished in a fishbowl of fog, a condition not unusual for Seattle in the throes of winter. The lingering grey didn’t stop people from gathering at Commodore Park, however. 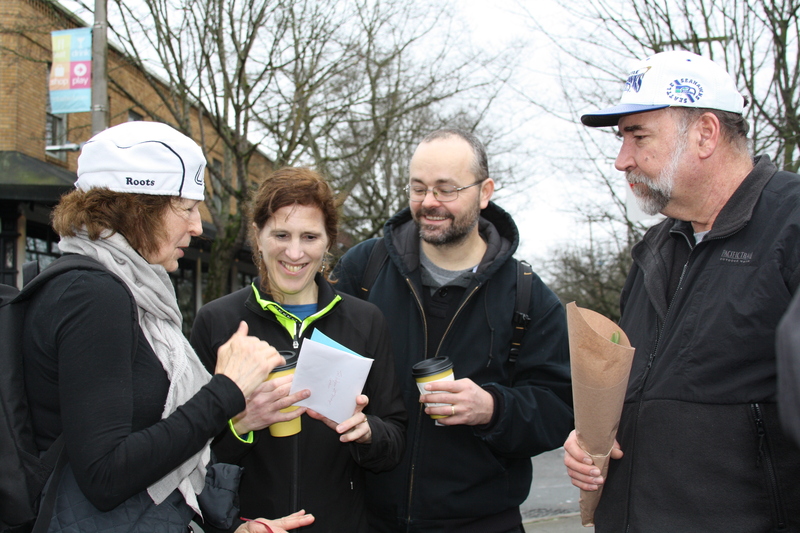 Nestled along the Chittenden Locks in Ballard, we gathered for a Feet First walk designed by Neighborhood Walking Ambassador, Laurie Towey. Many echoed Eunju’s sentiments. 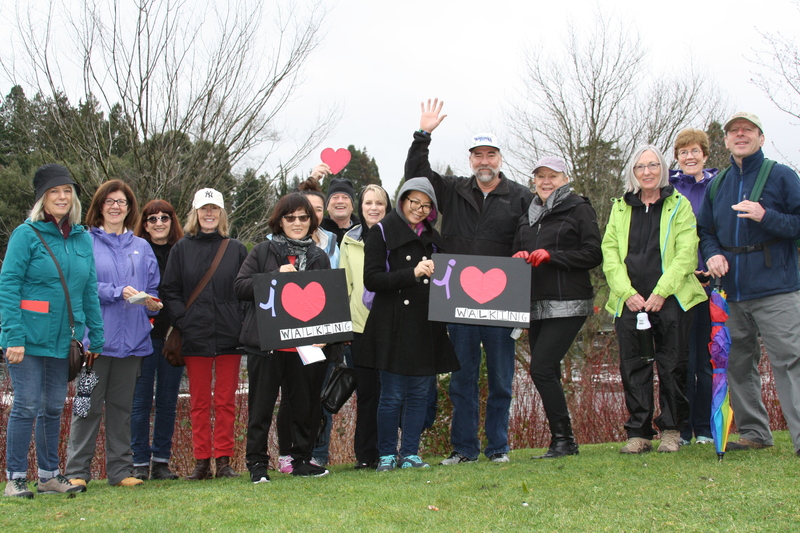 “Discovery” and “meeting new people” were themes that came up again and again for people who turned out for the Valentine’s Day walk. These walks prove to be a great way to get exercise, meet people, and explore different places. Jean was on her fourth Feet First walk. She shared that on one recent walk, she’d discovered a park near her home. “Can you imagine?” she laughed. Jean, who also walks half marathons, said that walking gives you “a whole different level of experience and a different view.” She particularly appreciates when food is involved. At the Ballard Market, she picked up a loaf of bread and happily munched away while we waited for everyone to congregate at Market Street and Ballard to head back. Jean said that food waited at the finish lines of the Rock and Roll marathons. That was another good reason to participate in them. “Basically, I walk for food,” she deadpanned. As an added treat, Laurie had asked walkers to bring valentines to exchange. 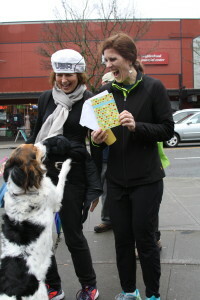 Many people brought thoughtful cards and small gifts, which set even a sweeter tone for the walk. 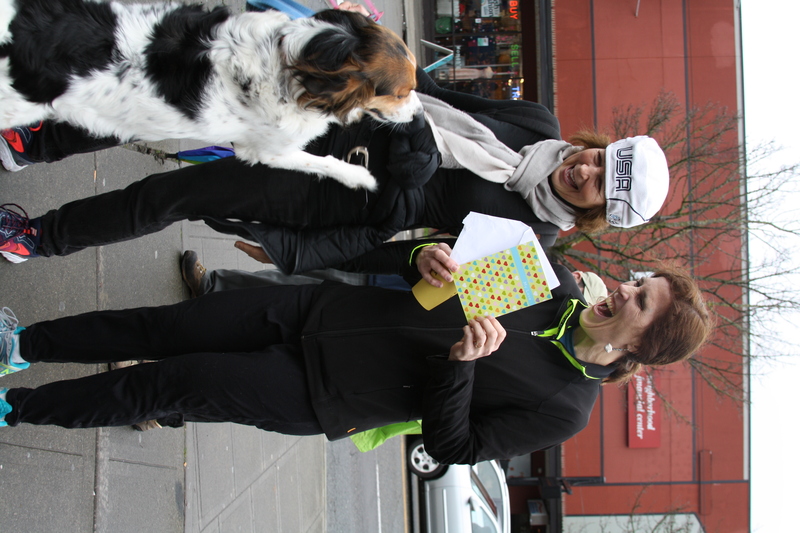 There were a few people who missed the exchange of valentines at the beginning and this led to a wonderful moment for two people among our 21 walkers (and one four-legged friend). Sandy brought a card she’d been holding onto for a decade, waiting to give it to someone special. This year, she decided to start anew and pass along the card to share happiness and luck. When Rachael received the card and opened it, she read the signature “Sandy,” the name of her mother who had passed away 21 years ago. Rachael said the card was very special to her and that she would pass it on to her sister, so she could receive a card signed with their mother’s name. Let us know about your special Story From the Sole and why you love walking by following the prompts on this page.